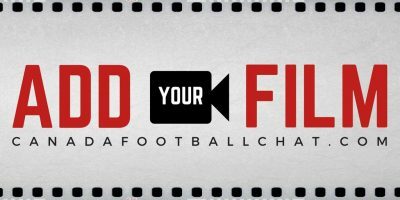 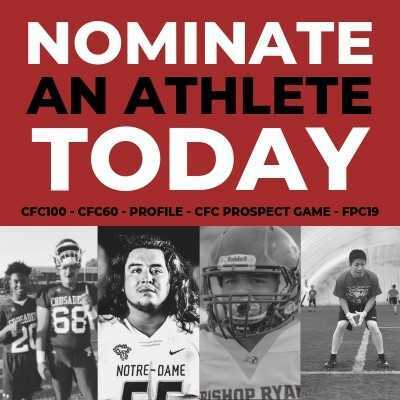 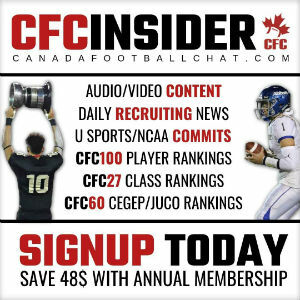 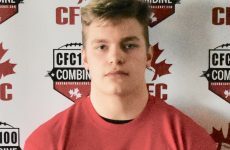 CFC100 Kenny Mestidor is a 6’3″, 240lbs rush end out of St. Thomas More School in Connecticut. 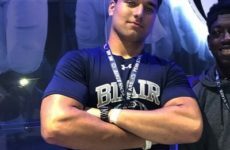 Mestidor originally hails from the Ottawa region where lined up for the St. Peter’s Knights, and made his first appearance on the NCAA trail back in May 2017 at the Rivals 3 Stripe Camp in New Jersey. 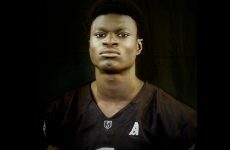 He already had offers from Michigan, Syracuse and Western Michigan before announcing his transfer to St. Thomas More School for the 2018 season, and has now earned 16 DI offers since his arrival, including four from the SEC.